American Metalcraft DWP44 Mirror Finish Double Wall Bell Pitcher - 1.37 Qt. Serve your chilled beverages in style with the sleek and sturdy American Metalcraft DWP44 double wall bell pitcher. 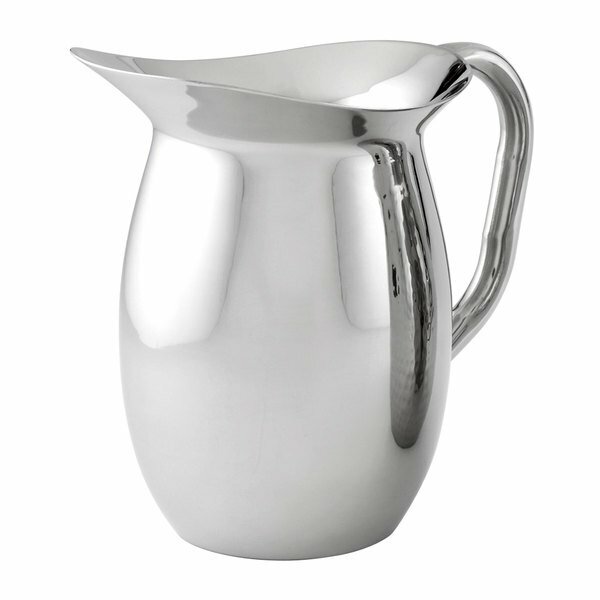 Made of corrosion-resistant stainless steel, this pitcher features a smooth mirror finish guaranteed to complement any restaurant, party, or catered event. A double wall design reduces condensation to reduce messy drips, and also helps keep beverages cold.